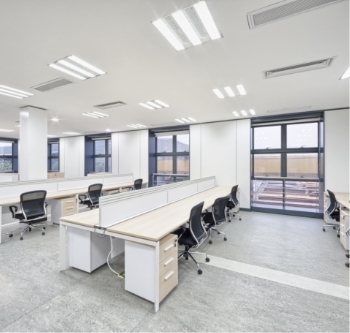 We work with many commercial customers across all industries and provide the full range of electrical services, for small and large works, from commercial offices to warehouses, integral to all commercial premises schemes. Our fully qualified, experienced team has worked on emergency lighting, data connections, warehouse lighting, entry systems, gates and barriers to bespoke systems. 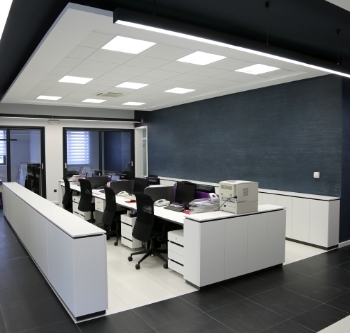 We carry out many complete and partial electrical office installations and refurbishments. We install the highest standard of materials and can offer a complete service when it comes to office refurbishment. Recently we have completed Office installation works for Carillion, HP and Gloucestershire Schools.